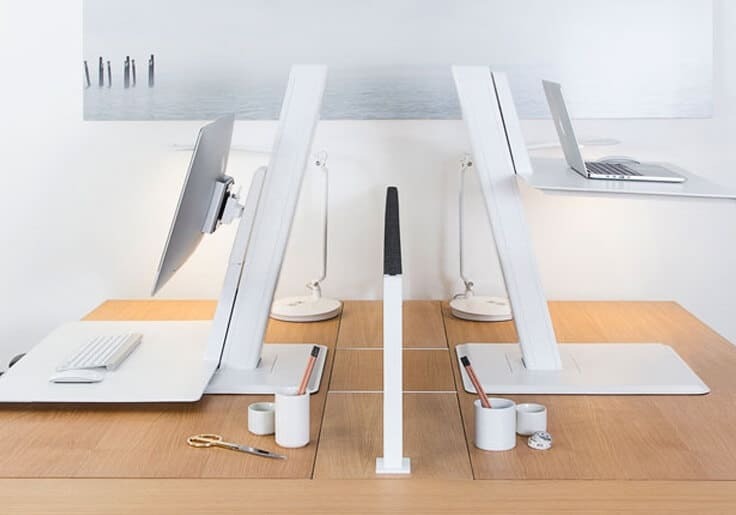 Humanscale’s QuickStand Eco is the next generation in portable sit/stand products. Sleeker, easier to use and full of more sustainable materials than ever before. The QuickStand Eco is a vast improvement over current sit/stand options. This work surface is available in laptop, single or dual monitor configurations. Practical for home and corporate offices, QuickStand Eco is compatible with Humanscale’s best-selling line of monitor arms. This revolutionary product helps you bring ergonomic comfort and wellness right to your work space. Finally, alternating between sitting and standing throughout the day can lead to a boost in productivity and happiness and a reduction in the negative effects of sedentary behavior. QuickStand Eco’s seamless operation allows you to quickly sit or stand when you choose. To see more amazing products that Pacific Office Interiors please visit our Blog or Products page.